Dr. Monica Sachdeva is a seasoned Infertility Specialist and skilled Obstetrician & Gynaecologist with more than 15 years of clinical experience. She is an infertility and IVF specialist with extensive training from Dr.U.N.Jindal (a renowned name in IVF in India) and from university of Kiel,Germany.For more than 2 years, she was associated with Bourn Hall Clinic (Cambridge,UK),Gurgaon as Sr. IVF Consultant and gained expertise in IVF protocols practiced at international level. She is currently the Medical director and Senior IVF consultant in PRAVI IVF & Fertility Centre,Kanpur (U.P. ), She has done more than 2500 IVF cycles so far and specialises in repeated IVF failures, donor and surrogacy cycles and is expert in different IVF protocols of Bourn Hall, Cambridge, UK for treating infertile couples. 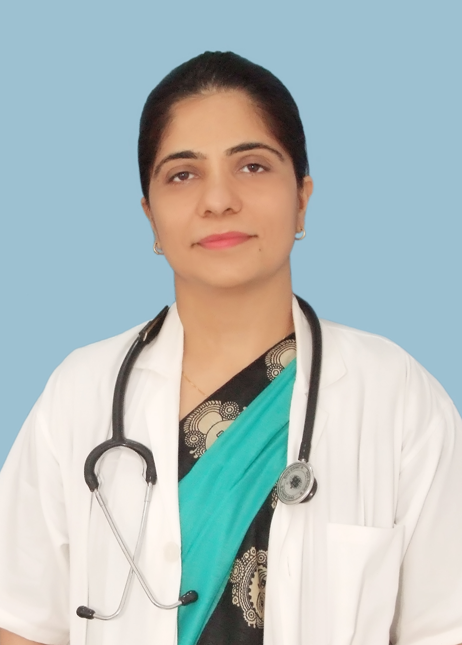 Dr.Monica Sachdevahas done her MBBS from Madurai Medical College,Madurai (through AIIPMT) and DNB(Obstetrics &Gynaecology) from Hindu Rao Medical College &Hospital, Delhi (first attempt).She has pursued fellowship in infertility from Dr Umesh Jindal Hospital, pioneer in field of IVF and Infertility Treatment, in Chandigarh. She has been acknowledge by Bourn Hall UK Medical Director, Dr Thomas Matthews, for her excellence in treating infertile couples.Dr Monica is a life member of FOGSI, AOGD,Indian Fertility Society, ISAR and Indian Medical Association. She has been known for her pleasant demeanour and devoted nature for which she has been awarded with many recognitions from IVF Pioneers like Bourn Hall IVF clinic.Her friendly nature eases out the tension of distressed patients and makes their journey through IVF easy.She has been consistently giving excellent results with compassionate care. This is evident from the testimonial given to her from hundreds of couples who are blessed with joy of parenthood through her expert clinical hands. She is always updating herself with latest academic developments by attending national and international conferences.She is instrumental in training postgraduate doctors in field of IVF. Her motto is to serve childless couple with full compassion and transparency and eventually help with utmost zeal to achieve their long cherished dreams.